We specialise in producing the best-quality, affordable canvas prints you will find online. We offer a wide range of sizes, at low cost prices. You can create a personalised canvas print using your own photo or artwork. Choosing a canvas printer from amongst the diverse number of online suppliers can be very confusing. The loveliest canvas prints are all handmade using high resolution digital photos or artworks. Beautiful results require a combination of image editing, printing expertise, material sourcing and craftsmanship in order to design, print and frame every canvas print to consistently high standards. All our canvas prints are created using a pigment archival giclée printing process. The very best quality you'll find online. We use the most sophisticated printing machinery currently available thus ensuring every image we print will be the best it can for you. 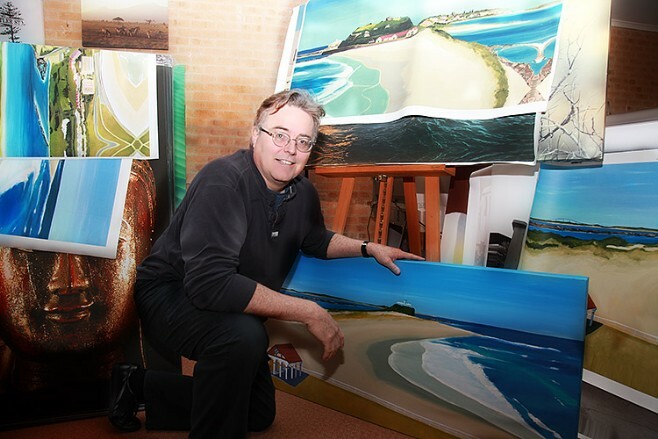 By using a giclée wide format printing process we can produce vivid and vibrant colours whilst maintaining exceptional accuracy and detail in your high resolution images. You will notice there are no dots in the printing like offset printers. We print your image on heavyweight cotton canvas which has stood the test of time in our labs and since we began printing 15 years ago. This is a finely textured artist-grade cotton/poly material which consistently reproduces fine detail with outstanding clarity. We then handcraft a custom wooden frame - in any size up to a maximum of 4.0 metres (160 inches) - over which your canvas print is tightly stretched. 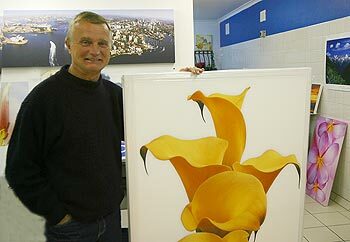 Your stretched canvas print is then hand finished by one of Australia's most experienced canvas picture framing teams. We ensure that each corner fold is perfectly smooth, tight and that all fixing staples are covered with special protective tape so dust doesnt gather behind the canvas. Then we string the canvas so that you get a 'ready to hang' canvas. 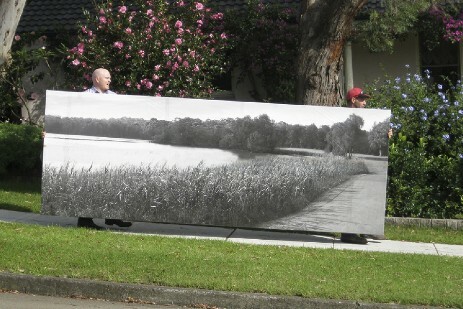 The depth of your canvas frame determines how far your canvas print will stand off the wall. Important for choosing a thin 20mm frame so your canvas isnt accidently brushed off the passage wall or you need it framed on the outside. You can choose from two depths of canvas print: Slim (20mm)or Standard (default 38mm) . Unlike other low cost canvas printers we only use premium knotless pine canvas frames (i.e. the internal stretcher bars around which the canvas is stretched). You can select your choice of canvas wrap/edge profile. Please note that if choosing an image wrap, the edges of your photo will only appear on the sides of the canvas, so make sure that you allow sufficient space around the central subject of your photo for this. This is particularly important with small but deep canvases. You can transform a standard canvas into a unique work of art with our framing options. A traditional stretched canvas print is made by creating an internal frame using specialist strips of wood known as canvas stretcher bars. Rolled cotton canvas material (upon which your photo is printed) is hand-stretched over the internal frame and tightly stapled to the back. Our framed canvas prints have the addition of a modern floating frame added around the outside edge of the canvas frame, creating a unique and original work of art. Framed canvas prints come in a choice of a black or white frame, and are made from strengthened wood. Dimensions: The frame is 54mm deep with a 12mm front face that sits approximately 5mm from the edge of the canvas print, creating a "floating border".